Lee Jae-ryong is a South Korean actor who is known for his role in dramas such as Sangdo, General Hospital, and Foolish Love. He appears in numerous dramas, and he has great acting skills. 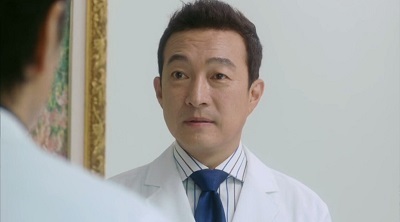 He is also one of South Korea’s veteran actors. Let’s take a look at his profile and facts! Lee Jae-ryong is a South Korean actor who has made a lot of appearances in numerous dramas. He was born on September 24, 1964, in Seoul, South Korea. He graduated from Chung-Ang University where he majored in theater and film. He also finished his master’s degree at Korea University Graduate School after becoming a part of the journalism department. He has been active as an actor since 1986. He is popular for taking roles in television dramas. He appears in numerous dramas, namely Beautiful Mind where he acted alongside Jang Hyuk. In 2011, he reportedly signed a contract with S.M. Entertainment to become one of their actors. He now still works under this big agency. Lee Jae Ryeong married the South Korean actress Yoo Ho Jung. She made her debut in 1991. She is known for her acting in the daily drama Definitely Neighbors. She is also popular for being a host for her very first reality show on O’live TV called Olive Show. This couple has been married since 1995. Now, they already have a son, and both of them are still active in Korean entertainment.